I’m taking on another Nabisco pantry staple today: Graham crackers. From childhood to fill adulthood, I have never wavered in my adoration for these sweet, crisp snacks. Somewhere between a cracker and a cookie, Graham crackers are the utilitarian gods of baking. Delicious eaten on their own, they also play the leading role in s’mores, pie crusts and cheesecakes, just to mention a few. Versatile and unique, they’re definitely worth having around. 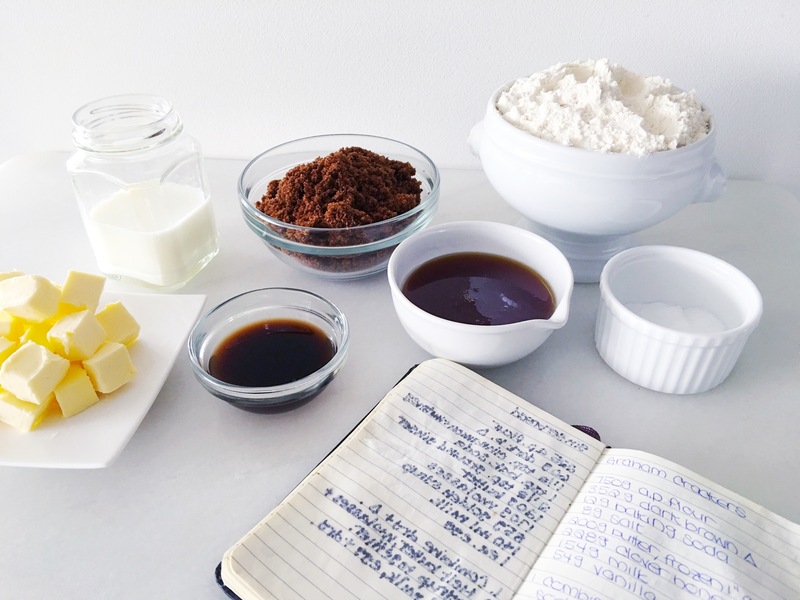 As a professional pastry chef, if I have an idea for a dessert which might require or be enhanced by a store-bought sweet, I will almost always attempt to make it myself. Unfortunately, the secrets of these well-known sweets are patented, kept under strict lock and key, and often contain ingredients that are both inaccessible and unappetizing. I have no need for mono-unsaturated-anything, so I have to rely on my palette to guide me to a recipe that holds true to the original flavor profiles. 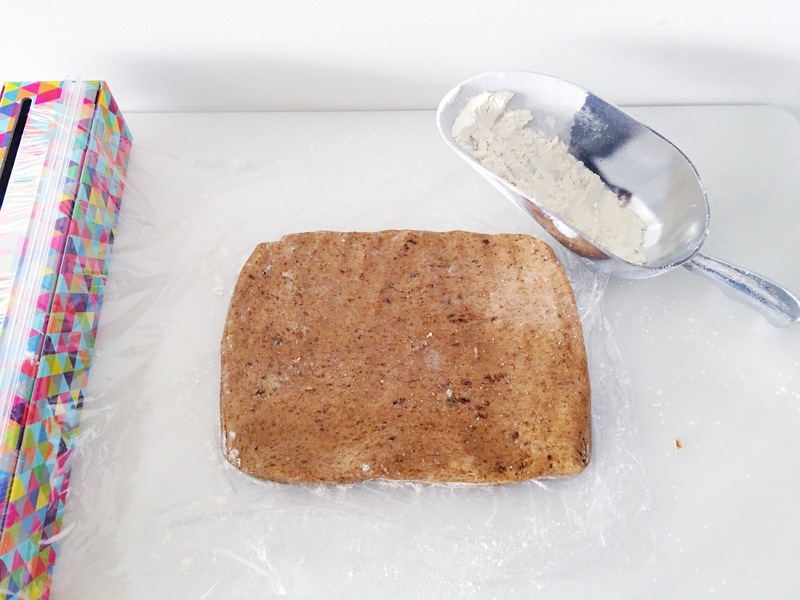 When I a need for Graham cracker ice cream a couple of years ago, I began narrowing down the ingredients I believed would amount to a great Graham cracker when combined. Turns out, it wouldn’t be as easy as I had originally hoped. In my search for the perfect Graham cracker, I must have gone through 30 or 40 different combinations. First, that unmistakable flavor. I was convinced that the recipe had to include at least a little molasses. But every time I tried it, no matter what else I changed, it just wasn’t right. So I abandoned that idea, with much frustration, and opted for a dark brown sugar which, obviously, contains a pretty substantial molasses content. Finally I was headed in the right direction. The flavor was definitely getting there; just a little more dark honey and I had it. Then there was the texture. Graham crackers need to snap when broken. I kept ending up with more of a soft bend, and that just wouldn’t do. No matter how good the flavor. So I messed around with pretty much every different kind of flour I could get my hands on, (I even searched online to see if there was such a thing as “Graham flour”; there wasn’t, no surprise there) and tried adding eggs, leaving out chemical leaveners (i.e. baking powder/soda), and rethinking my sugar content. Finally, after taking a break from my tedious task, I had a moment of clarity and landed on what I believe is a rather stellar recipe. 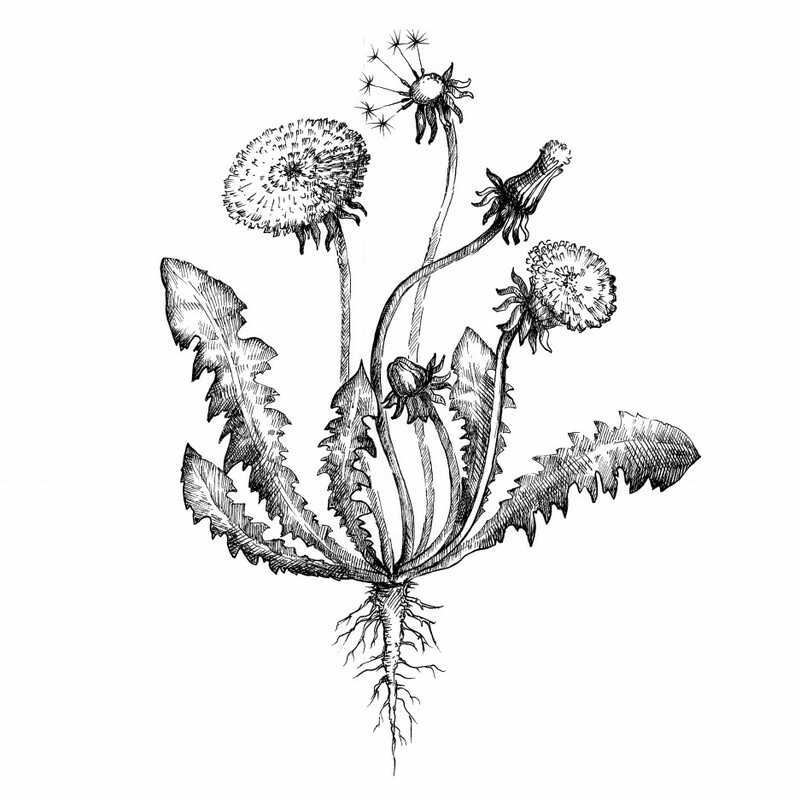 It has all the tell-tale qualities of the Honey Maid variety, and something …more. They’re sweet and mild, with that perfect snap, but the flavor seems fuller to me. Just, more satisfying. Rounder. If that makes any sense. Although it’s completely probable that I’ve way overthought this. Anyways, long diatribes aside, here is the recipe I toiled over all those long days and nights. Just because I love you that much. 1. 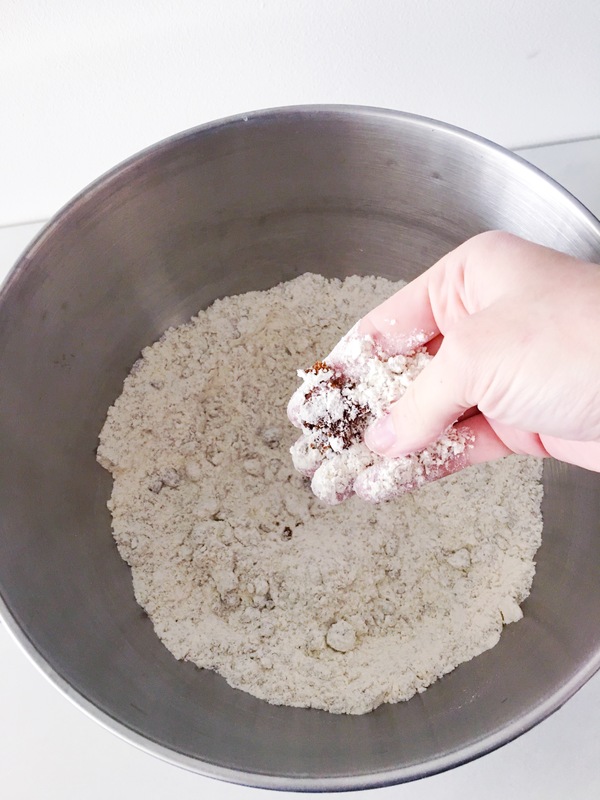 In the bowl of a standing mixer, combine the flour, sugar, baking soda and salt. Mix to combine and incorporate the sugar evenly. 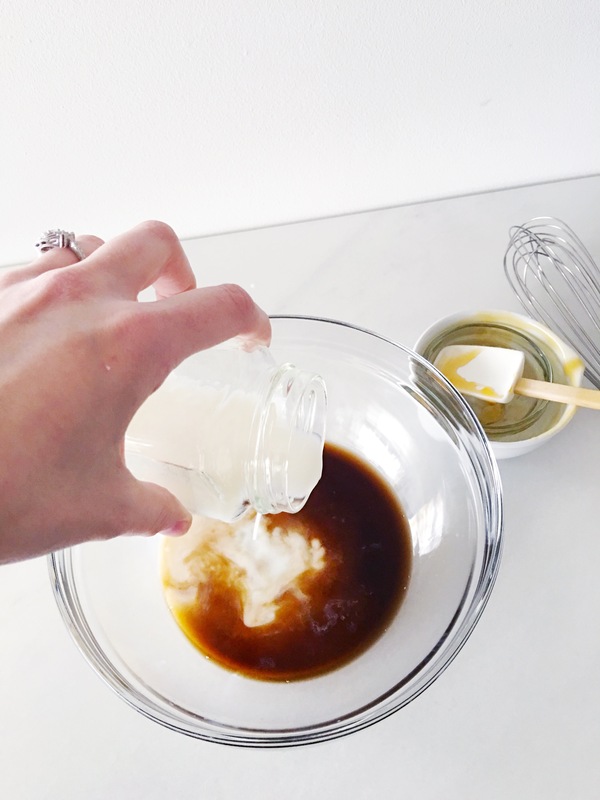 If you’re left with some lumps of sugar, just break them up between your finger and finish mixing them in. 2. Add the frozen butter and mix until you have something that resembles a course meal. Again, if a few pieces won’t break down, just break them with your hands. 3. 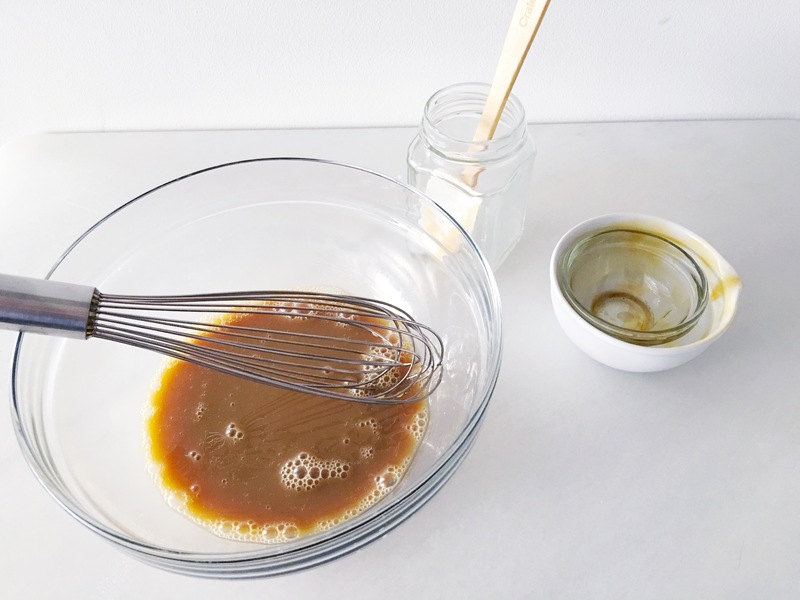 In a bowl, whisk together the honey, milk and vanilla. Add this mixture to the flour mix, with the machine running, and mix until just combined. 4. Dust a piece of plastic with a little flour and transfer the dough onto it. 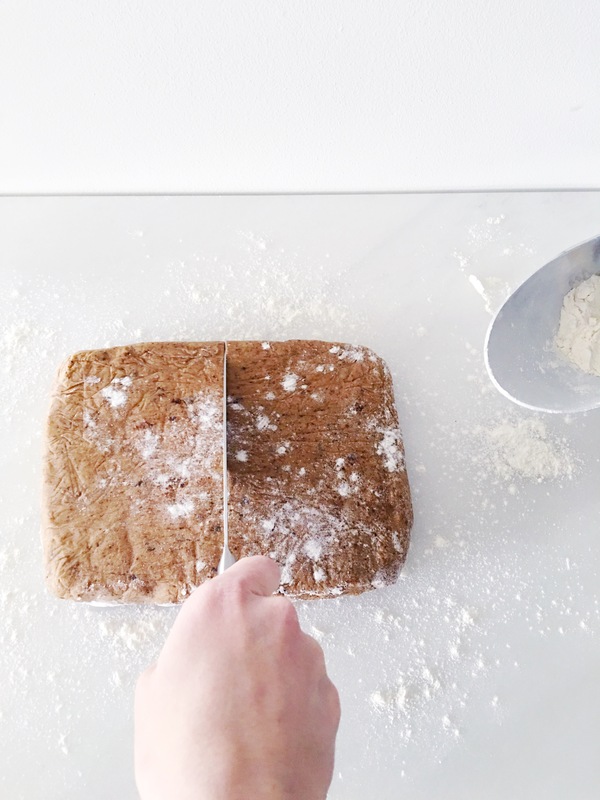 Pat the dough into a 1 inch tall rectangle and dust the top with a little more flour. Wrap up in plastic and refrigerate at least a couple of hours until firm. Alternately, you can freeze for about an hour. 5. 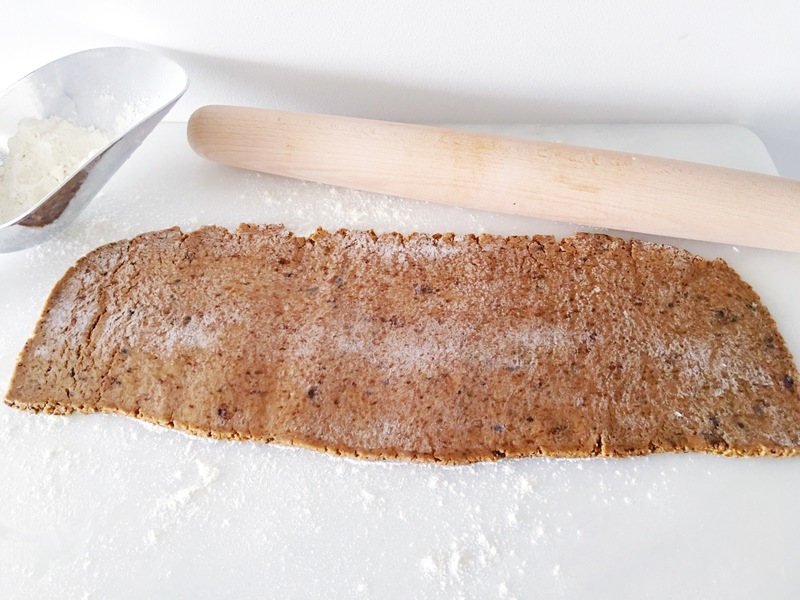 Remove the dough from the refrigerator and slice in half. Return one half to the fridge. 6. 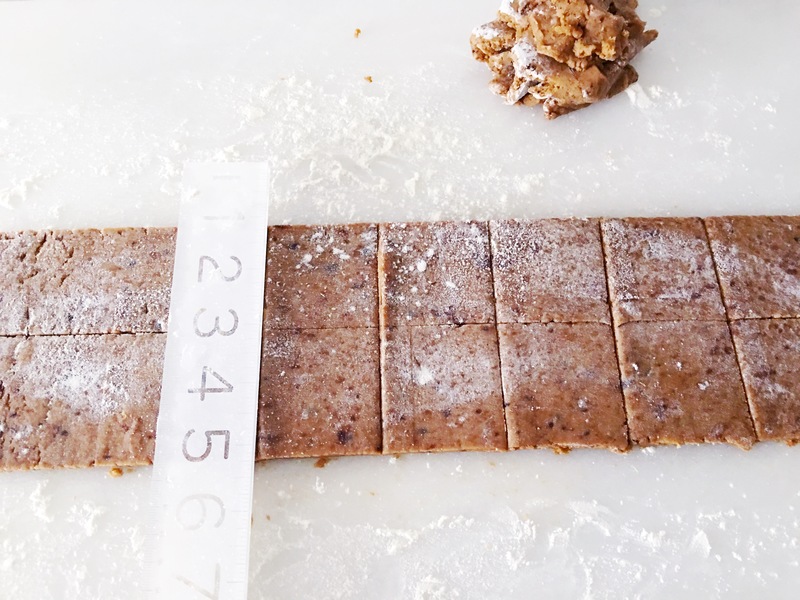 Sift a generous amount of flour on to your work surface and roll the dough out into a long rectangle shape, at least 4 inches wide and 1/8 inch tall. 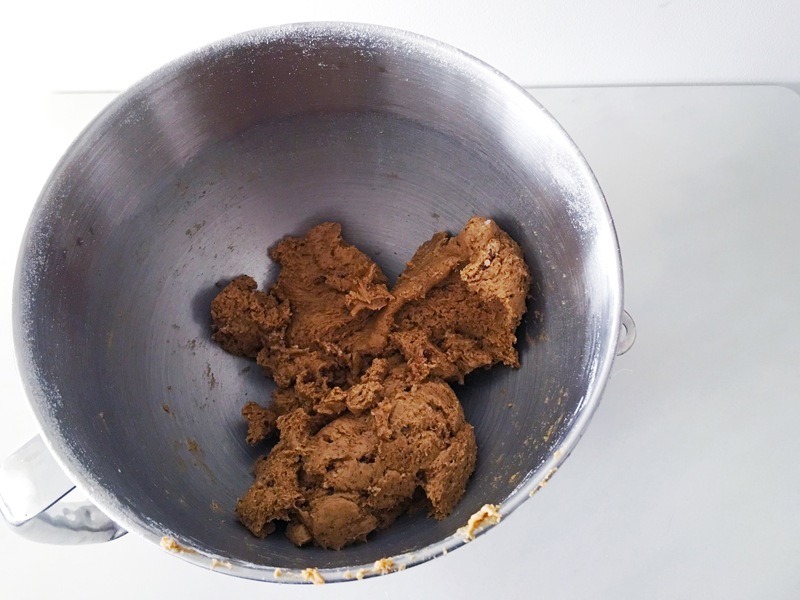 The dough is very sticky, so try to make sure it isn’t sticking to your work surface after it’s rolled out. This will make transferring it easier. 7. 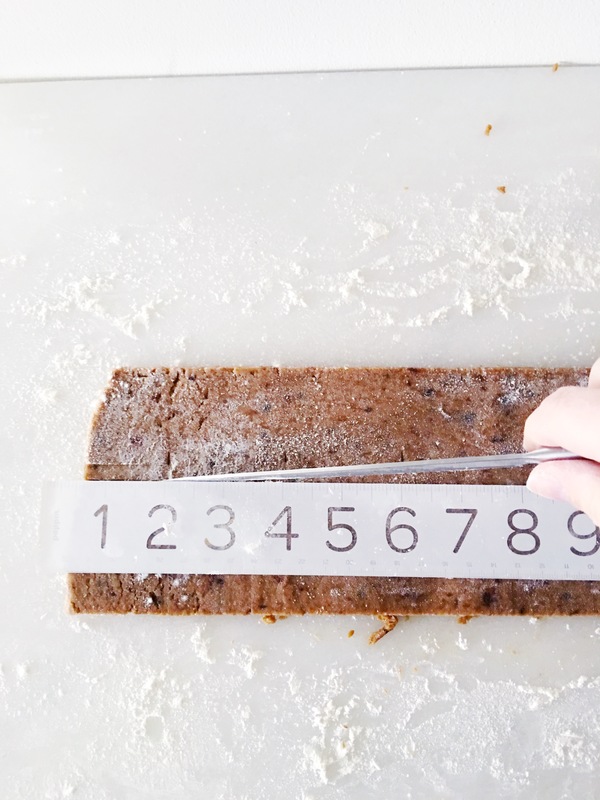 Trim the dough to exactly 4 inches wide. You will have leftover dough. Just make a flattened ball with it and rechill so it can be rolled out later. 8. Cut the rectangle in half lengthwise, giving you two 2 inch rectangles. 9. Cut these rectangles width-wise into 2 inch squares. 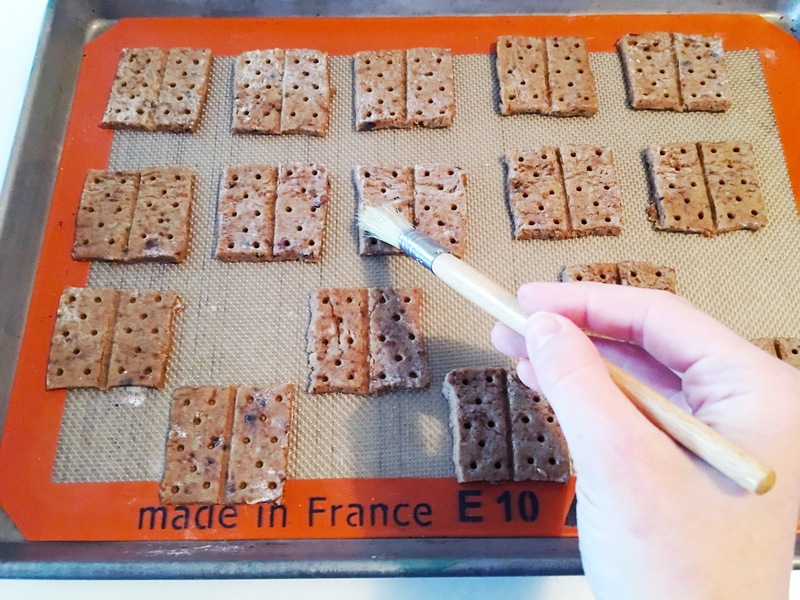 (They will seem very small, but they expand to the size of regular Graham crackers when baked.) 10. Arrange the squares on a sheet tray lined with parchment and refrigerate until firm, about 30 minutes. While chilling, preheat the oven to 350F. 11. 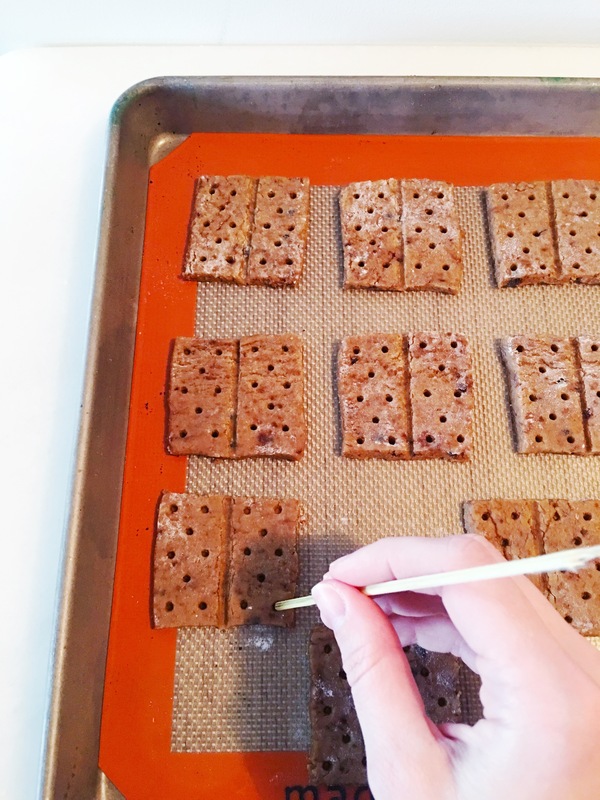 Remove the tray from the fridge and, using a toothpick or skewer, create the pattern found on a typical Graham cracker on each square. (A line dividing the square in half and then alternating rows of 2 dots and 1 dot on either side of the line.) 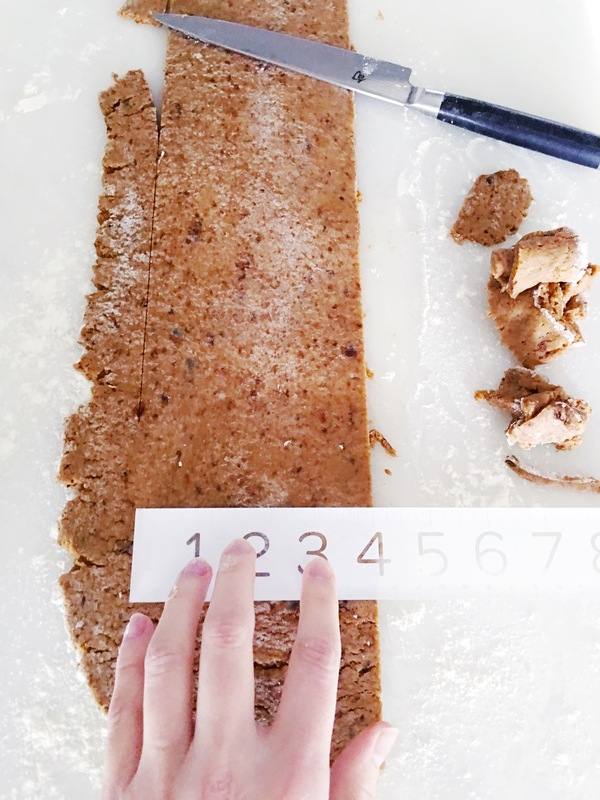 You don’t want to go all the way through the dough with the skewer, but you do want the lines and dots deep enough that they will remain even after the crackers have baked and risen slightly. 12. Dust off any remaining flour with a pastry brush. 13. 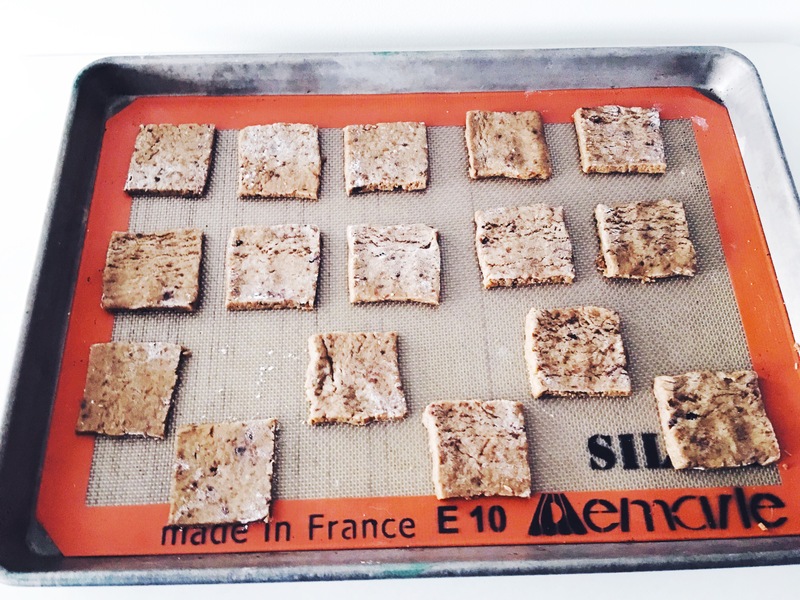 Bake the crackers until browned around the edges and slightly firm to the touch, rotating the tray every 4-5 minutes. It should take around 12 minutes for the crackers to fully bake, depending on your oven. 14. Allow the crackers to cool completely. Only then will they become crispy and perfect! Then enjoy them however your heart desires. If you want them coated in white chocolate, microwave your pistols and shortening together for 30 second intervals until liquid, then dip the crackers and allow to sit and harden about 20 minutes. 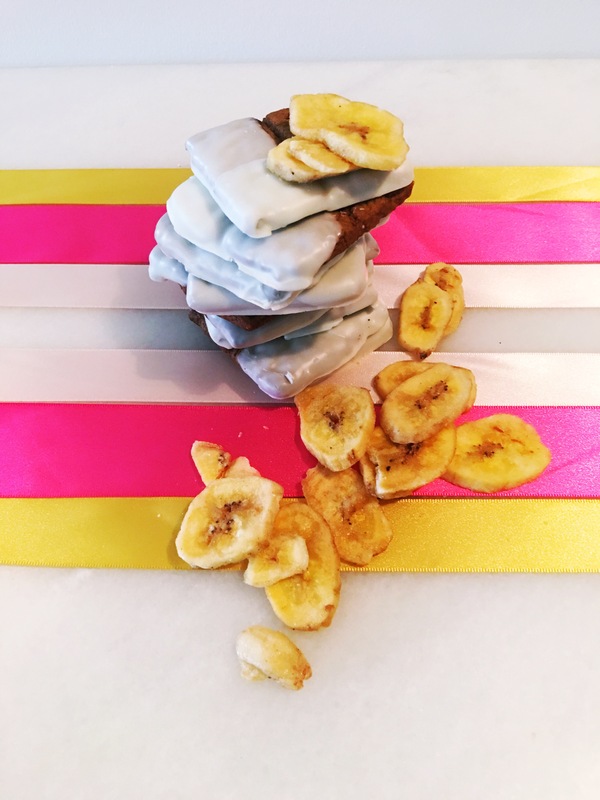 Personally, I love the combination of Graham crackers, white chocolate and banana chips. 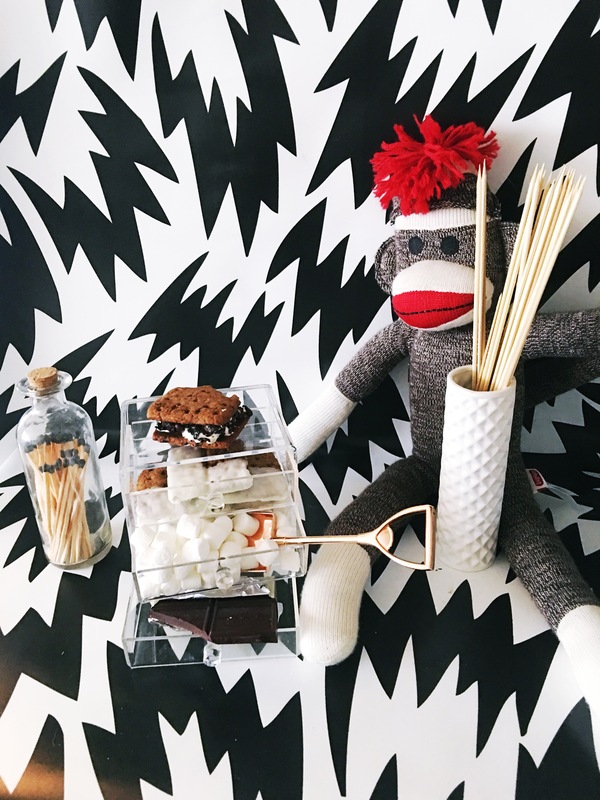 If you’re more hostess than solo-snacker, you could set up a s’mores station for you and your guests. Won’t they be surprised and delighted to know you made those tasty crackers? ﻿Of course, you could always just grind up your finished crackers and make the most delicious crust you’ve ever tasted, or sprinkle cinnamon sugar over the dough before baking for a classic twist. Whichever way you go, I promise you’ll be happy you took the time to make these yourself. P.S. You know who loves Graham crackers almost as much as I do? Kids! So for all the mama bears out there, try this one your little ones and you’ll both have something to smile about.